Looking for a job? Start your new journey with IMEX today. Looking for a new job? Want to be part of a winning team? Apply today! It’s not just our customers who receive an exceptional service; IMEX currently enjoys one of the best staff retention rates in the industry with various initiatives, rewards and benefits contributing to what makes life at IMEX both rewarding and enjoyable. Interested in being part of a winning team? Send us your CV today and we’ll get back to you! Click here to view our Recruitment Policy. We are committed to developing our business and because of that we will always invest in our most valuable asset – our staff. Imexpart Ltd, one of the largest and most respected independent Truck Specialists in the UK are seeking a Driver to join their team in Birmingham. 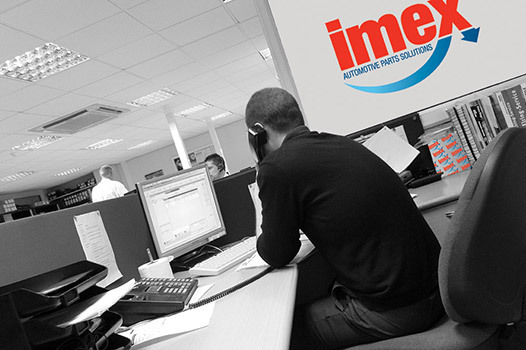 Having served the automotive industry since 1986, Imex is a leading independent parts distributor, offering a genuine alternative to the franchised network. Ensure customer deliveries are completed in accordance to the structured routes agreed upon and wherever possible in the most economical manner possible. Be familiar with the Company’s structured delivery system ensuring that orders are delivered to customers at agreed times, in line with the Drivers Handbook. Portray a professional image of the company through a smart appearance and courteous attitude. Take care of company vehicles in conjunction with agreed guidelines & protocol. Be familiar with depot procedures so that you are able to run the depot during absences in conjunction with the guidelines contained in the Depot Protocol Handbook (including Drivers Version). Investigate and discuss ideas for improving the efficiency of runs with your line manager. Assist with stock maintenance as required through general housekeeping and reporting procedures. Ensure accuracy at all times when picking and packing orders and loading of vehicles. Correct and appropriate handling of payments from customers by cash, cheque and credit card. Security of premises including opening and locking up at appropriate times. Imexpart Ltd, one of the largest and most respected independent Truck & Bus Parts Specialists in the UK are seeking a Technical Outbound Call Representative to join their team in Castleford. Having served the automotive industry since 1986, Imex is a leading independent parts distributor, offering a genuine alternative to the franchised network. In this role you will engage with customers and prospects by telephone. Hours of work are 10am to 4pm. Continuing to serve the automotive industry since 1986, Imexpart Ltd is one of the largest and most respected independent Truck Parts Specialists and Engine Parts Suppliers in the UK. An exciting opportunity has arisen for a Sales Parts Interpreter – Trainee, to represent Imexpart Ltd and develop sales based from our busy and vibrant sales department in Castleford, West Yorkshire. Imex is committed to staff development and provides ongoing staff training to hone the skills and expertise needed to perform well in their roles; this in turn helps Imexpart maintain a reputation for a unique level of excellent customer service. Don’t miss your opportunity to join the team! Due to the continued expansion of our All-Makes parts range (Mercedes, Volvo, Scania, DAF, Renault, MAN and Iveco) we are looking for an office based Parts Sales Specialist (telephone sales). The ideal candidate will have extensive knowledge of the parts aftermarket and they will understand who the completion is, who the suppliers are and where the opportunities for growth will come from. This is a hands on role in a busy and vibrant environment where we receive a huge number of calls per day and aim to interpret customer requirements in seconds rather than minutes. This is an important position within the business that will suit an ambitious CV parts professional looking for a unique and exciting challenge with one of the UK’s fastest growing CV parts providers.